Sure to test your strength, Grip, coordination, speed, endurance, agility, adaptability, and Resilience! A Tournament Style competition with $1,700 of prize money and many other awesome prizes awaiting the top finishers! WANT A FREE RACE ENTRY?… AND THE BEST OCR TRAINING YOU’LL FIND IN COLORADO?! ASK FOR FREE ENTRY w/ A NEW UNLIMITED PROJECT MOVE MEMBERSHIP! Because we are not dividing our competitive heats by category other than gender, you will have the opportunity to race for both the top overall placement and top age group placement at the same time! 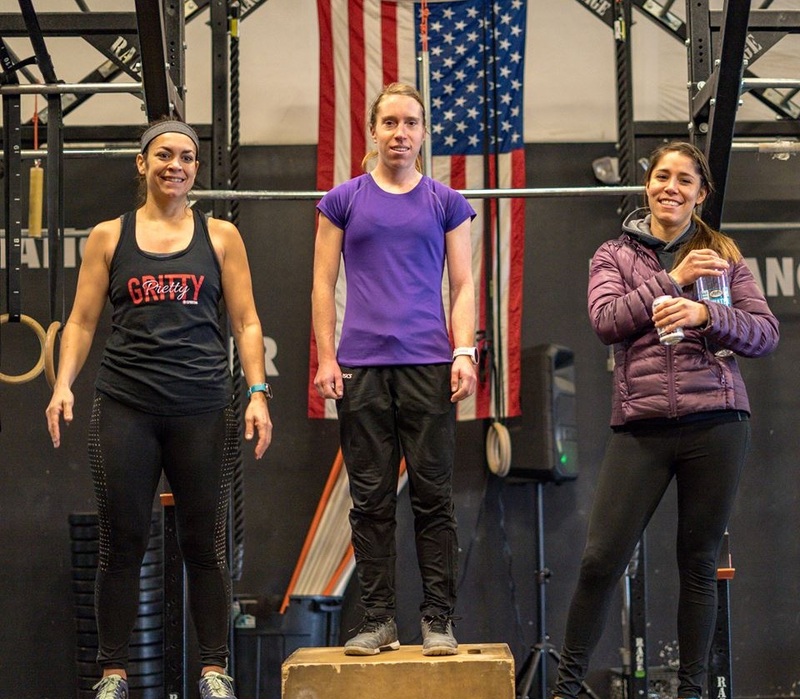 Did you make it to the finals but not quite the top overall podium? You may have still made it to the age group podium and unique top Age Group finisher prizes! Tournament style elimination, where the top 4 overall finishers (plus top 3 in age group) of each heat will move on to the next round. The course will get increasingly difficult with each advancing round. Heats will be released 15 people at a time, every 5-minutes. Beginning with the first male elite heat at 8:00AM, followed by the first female elite heat at 8:05AM, and so on until all 1st-Round elite registrants have gone. The next round of elimination heats (i.e. semi-finals, finals) will begin 45-minutes after the final qualifying finisher has crossed the finish line of the previous round. Wrist Bands will signify if a racer is still eligible for overall and/or age group placement. COMPLETION OF ALL OBSTACLES IS MANDATORY TO BE ELIGIBLE FOR PLACEMENT IN OVERALL OR AGE GROUP. FAILURE TO COMPLETE ANY OBSTACLE WILL RESULT IN REMOVAL OF WRIST BAND, THOUGH THE PARTICIPANT MAY STILL CHOOSE TO COMPLETE THE REST OF THE COURSE RECREATIONALLY. More specific schedule and assigned heats will be released nearer event day. Upon registration you may request a specific/approximate heat time, which we will do our best to accommodate, but first-registered-first-dibs applies. The Open Division is all about whatever you want to get out of it. Just for fun? Great! Want to test your fitness adaptability outside the expectations of competition? No problem! The OPEN division is for ALL fitness levels. That includes YOU! Click here to go the events page. This is for the less competitive individuals who still want to test what the full potential of what their fitness can actually do! The heats will be similar, will no mandatory obstacle completion— although you can attempt each obstacle as much as you like, as long as you aren’t interfering with the course flow at all. You will no doubt have an awesome time come and discover new limits! Open heats will begin 5-minute after the last heat of the 1st-Round of competitive elimination heats, and launch every 5-minutes for up to 40-minutes, then pause for the 2nd-Round of elimination heats (aka semi-finals). Only those who have registered as “competitive” will be eligible for Cash or Age Group prizes. Cash Prizes are only for the 1st - 3rd Overall finishers in male & female categories. There will be food truck offerings, as well as a variety of other awesome vendors to checkout and sample! Stay tuned for specific vendors and sponsors to be announced as the event nears. You are encouraged to bring along as many friends and family as you possibly can to see you test your adaptive fitness! There is no entry fee for spectators. You are more than welcome to bring your own food and drinks as well. A printed and signed copy of the Waiver Form. We will have these available if you forget yours, but you will get registered MUCH faster if you bring one already signed. If you are under 18, the form must be signed by a parent or guardian. Cash to buy food, drinks and other awesome vendor/sponsor merch. 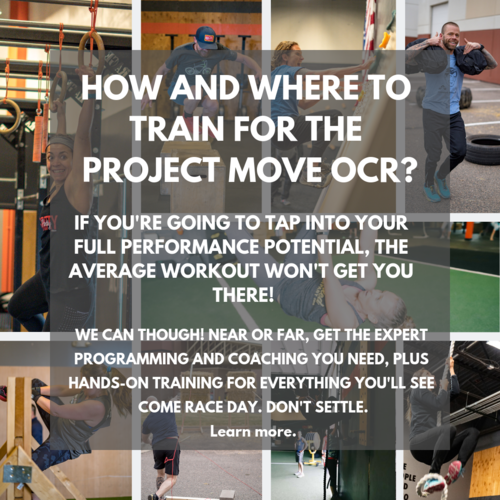 You must understand and acknowledge that The Project Move Obstacle Course Race is a grueling, difficult, and strenuous endurance event, and accept the risks associated therewith. You must comply with all directions given by the staff, directors, and medical professionals. Any uncooperative participants will be removed from the competition. You must be physically able to complete the event without harming yourself or others. You must wear your participant number where designated by event the Grit Games director. You agree that pictures and videos of you may be used for future promotional purposes. The Project Move personnel or staff may remove any participant who is breaking these rules, cheating, threatening harm to himself or others, or for other misconduct. The Project Move personnel, staff or designated on-site medical personnel may examine and remove any participant who appears to be injured. Parking is completely free. Parking will be within the building complex, as well as along the surrounding curbsides. From S Santa Fe Dr, Turn Left onto W Chenango Ave immediately north of W Belleview Ave (Last right turn before Belleview from the North, or first left turn after Belleview from the South) (see map). Project Move will be the tan large building at your next left (see map). Or if you are coming from W Belleview Ave, turn into the Lowe's parking lot and go to the far north end where you will see the back of ProjectMove on your right (see map). Parking available in the front and back of building.